The Internet is now 20 years old and over 2 billion people are connected to it using computers, smartphones and tablets. The Internet currently connects people to people (P2P) and is now being called Internet Phase 1. 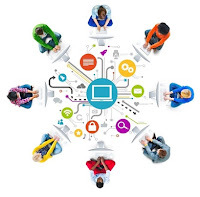 The next Phase of the Internet is just beginning and will connect people to everyday devices (M2P), and everyday devices to each other (M2M). 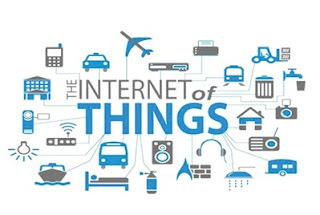 Def:IoT (Internet of Things) is an advanced automation and analytics system which exploits networking, sensing, big data, and artificial intelligence technology to deliver complete systems for a product or service. 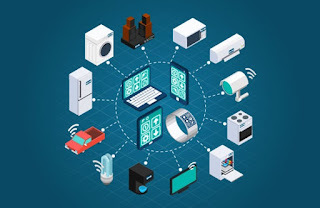 IoT is creating a giant network where all the devices are connected to each other and providing them with the capability to interact with each other. This is driving the automation to a next level where devices will communicate with each other and make decisions on their own without any human interventions. These systems allow greater transparency, control, and performance when applied to any industry or system. 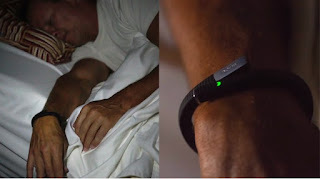 Assume that it is a Mid night, and a person is sleeping with a band on his hand. Suddenly his heart beat becomes abnormal, the band detects this, vibrates aggressively and starts alarming the person by sending msg to the Phone about his medical condition and suggest him to take Aspirin Heart medicine. The band automatically sends this information to a nearby Heart Hospital. The Hospital sends an OTP to the band, the band sends it the Door sensor, An Ambulance arrives and the door gets opened automatically (As the ambulance driver shows his RFID tag and enters the OTP generated by the Hospital and the door identifies that he has come from his medical provider Hospital and opens up), the Ambulance personal picks him up and takes him to the Hospital for Medication. The person is saved…😊 all because the things are talking to other things – wrist band, mobile phone, smart door etc. It started with the smart phone. Now everyday devices like lights, cars, TVs etc. 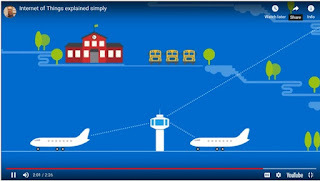 are being made smart by connecting them together over networks and to the Internet. These devices will not only be able to send data to the Internet but they will also be controlled over the Internet. These devices will become “things” on the “Internet of things”. A room temperature sensor gathers the data and send it across the network, which is then used by multiple device sensors to adjust their temperatures accordingly. For example, refrigerator’s sensor can gather the data regarding the outside temperature and accordingly adjust the refrigerator’s temperature. Similarly, your air conditioners can also adjust its temperature accordingly. This is how devices can interact, contribute & collaborate. The term “The Internet of Things” (IoT) was coined by Kevin Ashton in a presentation to Proctor & Gamble in 1999. He is a co-founder of MIT’s Auto-ID Lab. He pioneered RFID (used in bar code detector) for the supply-chain management domain. He also started Zensi, a company that makes energy sensing and monitoring technology. So, let me first take you through a quote by Kevin Ashton, which he wrote in 2009 for RFID journal. This will help you in understanding IoT from its core. “If we had computers that knew everything there was to know about things—using data they gathered without any help from us—we would be able to track and count everything, and greatly reduce waste, loss and cost. We would know when things needed replacing, repairing or recalling, and whether they were fresh or past their best. The ‘Thing’ in IoT can be any device with any kind of built-in-sensors with the ability to collect and transfer data over a network without manual intervention. The embedded technology in the object helps them to interact with internal states and the external environment, which in turn helps in decisions making process. Ex: Rupa lives in a small city. She’s heard about a recent spike in crime in her area, and worries about coming home late at night. Police has been alerted about the new “hot” zone through Mobile Apps and Websites, and they’ve increases their presence. Area Monitoring Devices have detected suspicious behavior, and law enforcement has investigated these leads/complaints to prevent crimes. Ex: Sai enters his office cabin, and the IoT System recognizes his face & opens the door. It puts on the required number of lights and adjusts AC or Puts on the fan according to his preference on certain temperatures Eg: In winter no AC, fan at low speed. IoT improves customer experience by automating the action. For e.g. any issue in the car will be automatically detected by the sensors. The driver, as well as the manufacturer, will be notified about it. Till the time driver reaches the service station, the manufacturer will make sure that the faulty part is available at the service station. IoT has helped a lot in improving technologies and making them better. The manufacturer can collect data from different car sensors and analyze them to improve their design and make them much more efficient. Our current insights are superficial, but IoT provides real-time information leading to effective decision making & management of resources. For example, if a manufacturer finds fault in multiple engines, he can track the manufacturing plant of those engines and can rectify the issue with manufacturing belt. The rise of technology has driven energy costs up. Consumers search for ways to reduce or control consumption. IoT offers a sophisticated way to analyze and optimize use not only at device level, but throughout the entire system of the home. This can mean simple switching off or dimming of lights, or changing device settings and modifying multiple home settings to optimize energy use. IoT can also discover problematic consumption from issues like older appliances, damaged appliances, or faulty system components. Traditionally, finding such problems required the use of often multiple professionals (electricians, plumbers, pest control etc). 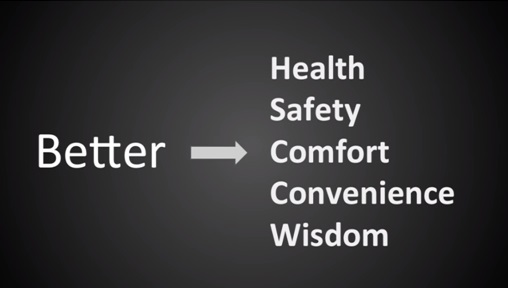 A smart-meter still requires a reader to visit the site. This automated meter reader makes visits unnecessary, and also allows energy companies to bill based on real-time data instead of estimates over time. Emergency Services:Anusha is a nurse in an emergency room. A call has come in for a man injured and unconscious in a Road accident. 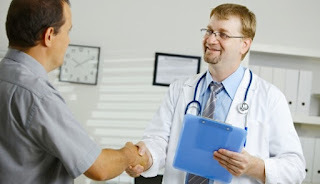 The system recognized the patient by his photo (already in records maintained by network of hospitals database) (photo taken by the caller and uploads it to the Hospital App) and pulls his record like blood group, chronic diseases, BP, Diabetic or not etc. 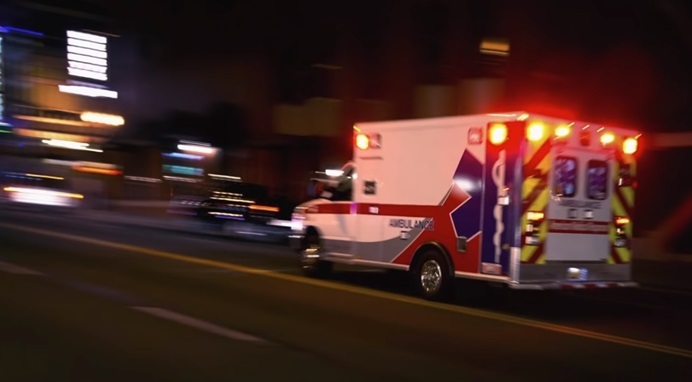 On the scene, paramedic equipment captures critical information automatically sent to the receiving parties at the hospital. 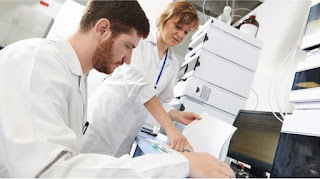 The system analyzes the new data and current records to deliver a guiding solution. 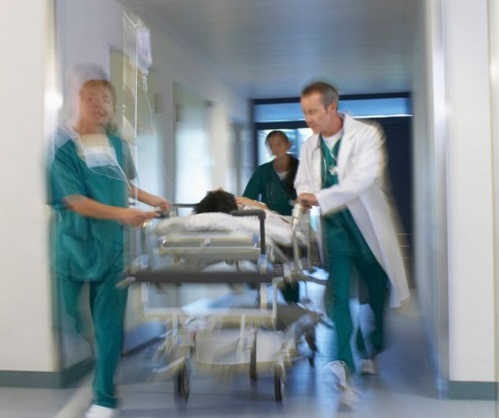 The status of the patient is updated every second in the system during his transport. Smartwatches and fitness devices have changed the frequency of health monitoring. 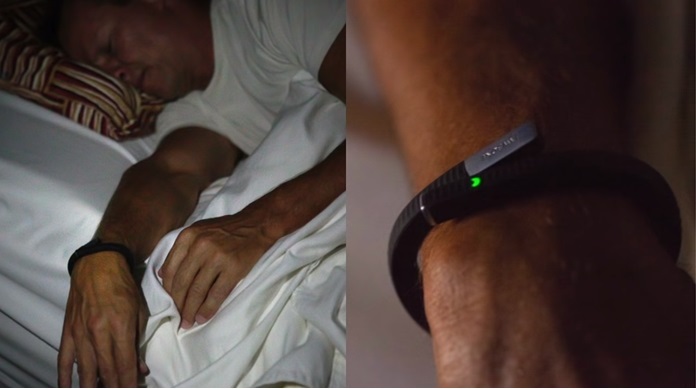 People can monitor their own health at regular intervals. Not only this, now if a patient is coming to the hospital by ambulance, by the time he or she reaches the hospital his health report is diagnosed by doctors and the hospital quickly starts the treatment. The data gathered from multiple healthcare applications are now collected and used to analyze different disease and find its cure. Ex3: Now, we have self-driving cars with sensors, traffic lights that can sense the traffic and switch automatically, parking assistance, giving us the location of free parking space etc. Ex4: Also, various sensors in your vehicle indicate you about the current status of your vehicle, so that you don’t face any issues while travelling. A school in Richmond, California, embeds RFID chips in ID cards to track the presence of students. Even if students are not present for check-in, the system will track and log their presence on campus. 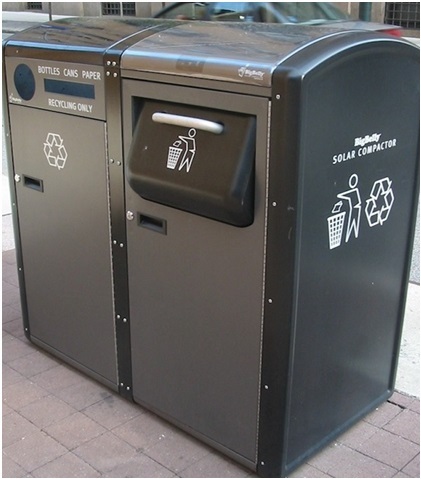 Smart trashcans in New York tell garbage collectors when they need to be emptied. They optimize trash service by ensuring drivers only make necessary stops, and drivers modify their route to reduce fuel consumption. Ex: IoT systems shave costs by reducing human labor in certain areas such as certain traffic violations like Red Signal Jumps, Over speed etc. Unfair distribution of green signal time in a Rush Hour : Eg at Isukathota Junction, more time should be allotted to traffic going towards Madhurawada and traffic going towards Gurudwara. Modify green signal duration based on traffic congestion at rush hours with the help of CC cameras at Signal Points or Drones near important Signal points. In the construction industry, determining concrete quality is very important. The Embedded Data Collector, or EDC, from Smart Structure, works by embedding sensors in the concrete during the pouring and curing process. This way, the sensors become a permanent part of the structure. 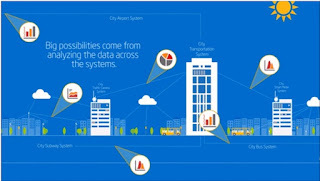 They provide vital information about concrete strength and quality directly to the Smart Structures Work Station. Artificial Intelligence:IoT essentially makes virtually anything “smart”, meaning it enhances every aspect of life with the power of data collection, artificial intelligence algorithms, and networks. This can mean something as simple as enhancing your refrigerator and cabinets to detect when milk and your favorite cereal run low, and to then place an order with your preferred grocer. 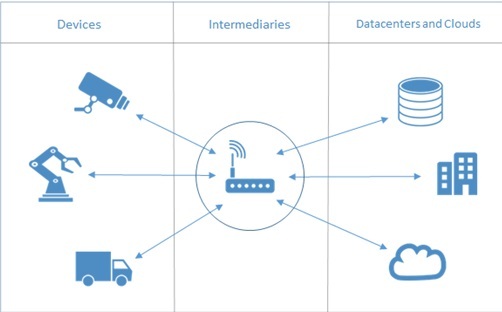 Connectivity:New enabling technologies for networking, and specifically IoT networking, mean networks are no longer exclusively tied to major providers. 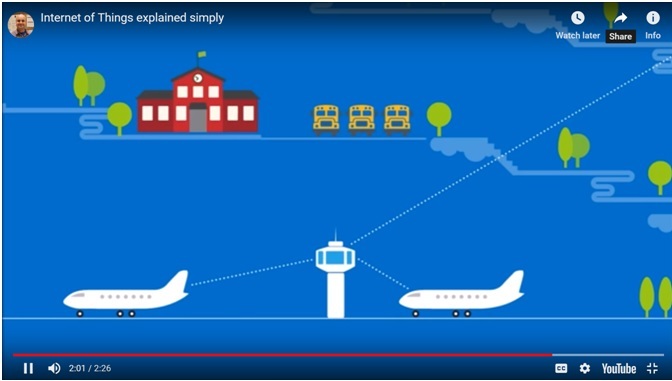 Networks can exist on a much smaller and cheaper scale while still being practical. 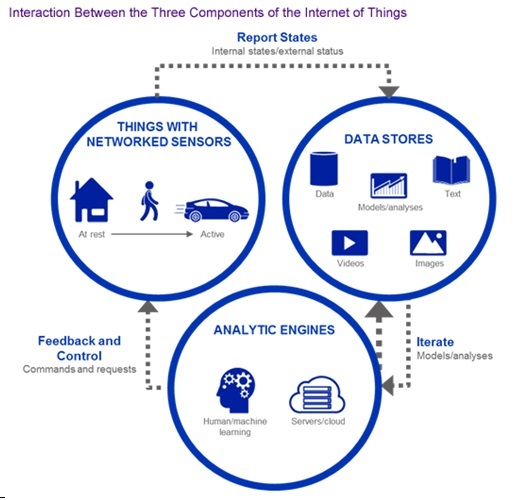 IoT creates these small networks between its system devices. Enhanced Data Collection:Modern data collection suffers from its limitations and its design for passive use. IoT breaks it out of those spaces, and places it exactly where humans really want to go to analyze our world. It allows an accurate picture of everything. Security: IoT creates an ecosystem of constantly connected devices communicating over networks. The system offers little control despite any security measures. This leaves users exposed to various kinds of attackers. Complexity: Some find IoT systems complicated in terms of design, deployment, and maintenance given their use of multiple technologies and a large set of new enabling technologies. 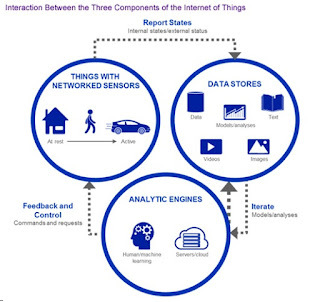 The most important hardware in IoT might be its sensors. Wearable electronic devices are small devices worn on the head, neck, arms, torso, and feet. 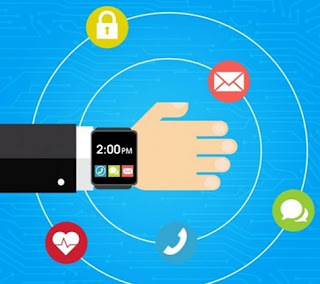 Smartwatches not only help us stay connected, but as a part of an IoT system, they allow access needed for improved productivity. Smart glasses help us enjoy more of the media and services we value, and when part of an IoT system, they allow a new approach to productivity. The desktop provides the user with the highest level of control over the system and its settings. The tablet provides access to the key features of the system in a way resembling the desktop, and also acts as a remote. The cellphone allows some essential settings modification and also provides remote functionality. Other key connected devices include standard network devices like routers and switches. IoT software addresses its key areas of networking and action through platforms, embedded systems, partner systems, and middleware. These individual and master applications are responsible for data collection, device integration&real-time analytics within the IoT network. They exploit integration with critical business systems (e.g., ordering systems, robotics, scheduling, and more) in the execution of related tasks. Data Collection:The system transmits all collected data from the sensors to a central server. Device Integration:They manage the various applications, protocols, and limitations of each device to allow communication. Real-Time Analytics:These applications take data or input from various devices and convert it into viable actions or clear patterns for human analysis. Low-Energy Bluetooth: Bluetooth Low Energy hit the market in 2011 as Bluetooth 4.0. When talking about Bluetooth Low Energy vs. Bluetooth, the key difference is in Bluetooth 4.0's low power consumption. It is extremely useful when talking about M2M communication. With Bluetooth LE's power consumption, applications can run on a small battery for four to five years. It is vital for applications that only need to exchange small amounts of data periodically. Low-Energy Wireless: This technology replaces the most power hungry aspect of an IoT system. Though sensors and other elements can power down over long periods, communication links (i.e., wireless) must remain in listening mode. Low-energy wireless not only reduces consumption but also extends the life of the device through less use. Radio Protocols: ZigBee, Z-Wave, and Thread are radio protocols for creating low-rate private area networks. These technologies are low-power but offer high throughput, unlike many similar options. This increases the power of small local device networks without the typical costs. LTE-A (Long Term Evolution- Advanced): It delivers an important upgrade to LTE technology by increasing not only its coverage but also reducing its latency and raising its throughput. It gives IoT a tremendous power through expanding its range, with its most significant applications being a vehicle, UAV(Unmanned Aerial Vehicle), and similar communication. 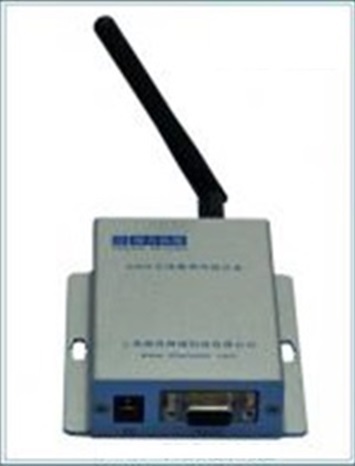 Wifi-Direct: WiFi-Direct eliminates the need for an access point. It allows P2P (peer-to-peer) connections with the speed of WiFi, but with lower latency. 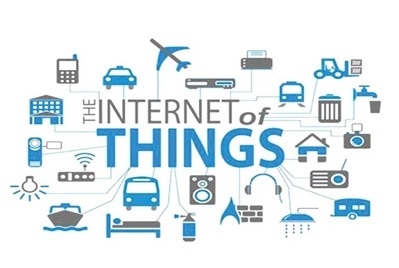 The Internet of things refers to the devices like sensors and actuators, but the term The Internet of Everything used by Cisco is broader and encompasses the devices, data, people and processes/software. The devices Eg: sensors will send data. This data will then be processed and used by people or by machines to control the devices or other devices. For example: A temperature sensor sends temperature data to a process which determines that the room temperature is too hot and so sends a signal to turn on the air conditioning. First, sensors or devices help in collecting very minute data from the surrounding environment. That collected data is sent to a cloud infrastructure but it needs a medium for transport. 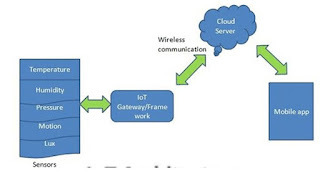 The sensors can be connected to the cloud through various mediums of communication and transports such as cellular networks, satellite networks, Wi-Fi, Bluetooth, wide-area networks (WAN), low power wide area network and many more. Sensors Eg: temperature, light, speed etc. 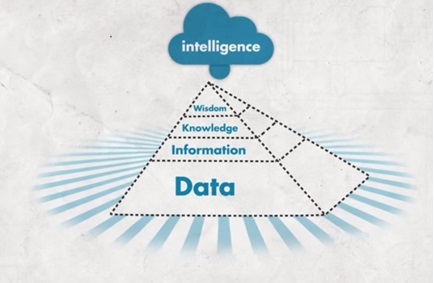 Once the data is collected and it gets to the cloud, the software performs processing on the acquired data. This can range from something very simple, such as checking that the temperature reading on devices such as AC or heaters is within an acceptable range. It can sometimes also be very complex, such as identifying objects (such as intruders in your house) using computer vision on video. But there might be a situation when a user interaction is required, example- what if when the temperature is too high or if there is an intruder in your house? That’s where the user comes into the picture. There are also cases where some actions perform automatically. By establishing and implementing some predefined rules, the entire IOT system can adjust the settings automatically and no human has to be physically present. Also in case if any intruders are sensed, the system can generate an alert not only to the owner of the house but to the concerned authorities. An IOT platform combines several IOT functions in one. It can collect and distribute data, convert data between protocols, store and analyze data. They are available as cloud-based and standalone platforms and are available from many companies -large and small. The cloud will have an important role to play in the IOT as it will enable companies to create networks, store data, automate processes without having to build the infrastructure themselves. This will enable IOT services to be developed much quicker, and at a lower cost than using traditional in-house systems and services. R-Style Lab: Smart Home IoT solutions, Healthcare & Fitness IoT apps, Industrial IoT sol.s, s/w for wearables etc. Samsara: energy monitoring, asset utilization, and vehicle tracking. Placemeter: smart sensors and computer vision in real time for transportation, retail, real estate, Their biggest pride are smart city projects, video streaming, and processing in particular. HQSoftware: Industrial, Healthcare, Automotive, Smart City, etc. TP-Link: automation, security, energy management, its means are day/night cameras, wi-fi light bulbs, smart plugs, and switches. Internet of Things, or IoT as it is popularly known, has gone on to become one of the hottest buzzwords in the tech industry for 2017. For anything to become a buzzword, three things should be in place — applications, jobs, and global recognition. 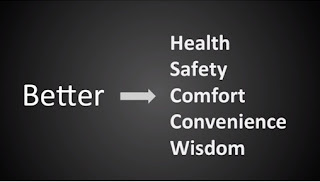 IoT over the last few months has clearly met these criteria. There is an uncountable number of IoT applications floating around in the world. Consequently, jobs are mushrooming and companies — big and small — are embracing IoT for the long term. IoT has pervaded into pretty much every job role remotely connected with IT, but you need to acquire specific skills on top of your regular tech competency in order to ride the IoT career wave. Some of the highest paying and most sought-after job titles these days are; IoT Solutions Architect, IoT Cloud Architect, IoT Systems Engineer, IoT Security Developer, among others. For the more experimental and R&D driven folks, there are jobs like IoT Research Analyst, IoT Development Lead and the likes. When we mention IoT, we are staring at something that will add $300 billion to the global technology industry in less than three years. It is also estimated that the three big cats of the industry — manufacturing, logistics, and utilities — will contribute to 50% of all IoT innovation during this time. This, besides the more consumer-driven applications and offerings that are being created by the ecosystem every single day. Indeed, we are in for good times with IoT!